The words lending library caught my eye, there. When I was reading Managing Transitions on the airplane, flying to Michigan, Minnesota, Missouri (specializing in the M places this time around), I was captured–as I wrote in my last blog–by the fact that if you want to make a change effectively, you need a vivid mental picture of what the new thing will look like. At Vermont College MFA, we argue a lot about the usefulness of outlines in the process of creating a novel. Too tight an outline and your characters become your pawns, leaping from block to block because you need them to do this, go there, feel such-and-such in order to serve your outline. They don’t feel fleshy and REAL and compelling…because their motivations aren’t organic. They are being driven by a plot engine. No road map at all? You might get something delightfully organic…and big fat messy. You might feel so scared as you work that your voice gets drowned out and smothered by Fearnando. Fearnando is what my author friends and I named the big ol’ fears everyone has to fight off when they are doing something new and big and scary. 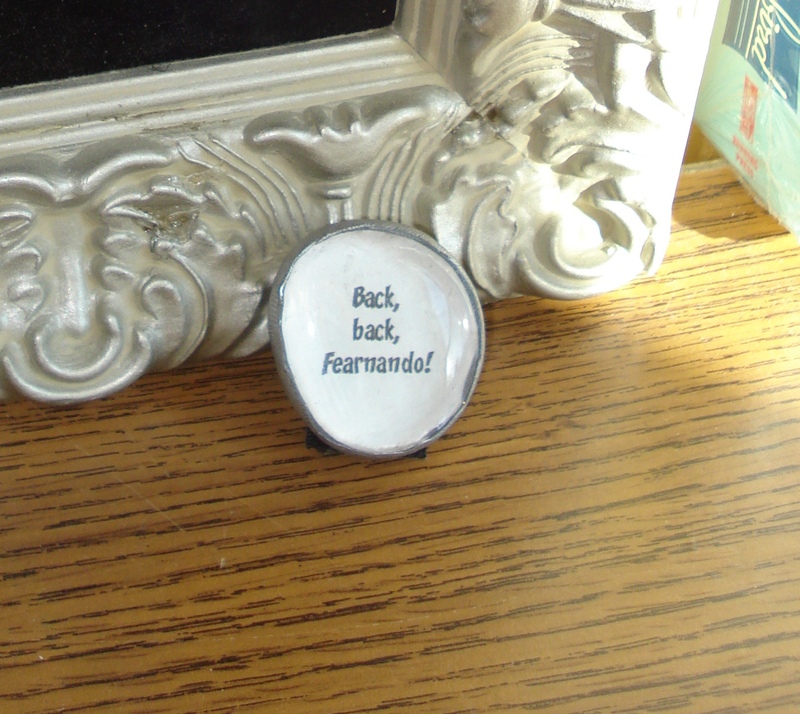 One of my VCMFA students created this button that I have by my desk. Ol’ Ben seems to have been someone who could dream the dream AND plan the plan. Amazing.